It’s very easy to say ‘Be confident’, but when it comes to showing up your confidence at the right time you are far from it. I am sure you are well aware of this dilemma. Some people are situationally confident, some pretend to be and some are not confident at all. 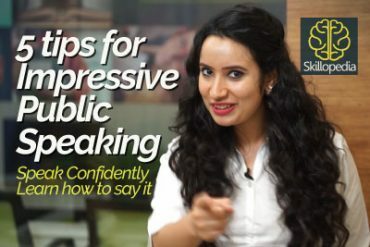 In this Skillopedia session with Niharika you will learn how to be confident even if you are not. Well, genuine confidence will take some time to develop, but you could always apply some hacks that would help you be confident when you are required to be the most. There are definitely ways you could seem confident, even when you are not. However, I have some great news for you. I am here to tell you that everyone can gain confidence. Confidence comes from the inside; however, it’s also important to “appear” confident. So what better way to show our confidence that through our voice? If we sound confident, it will make our personal and professional lives so much more successful. 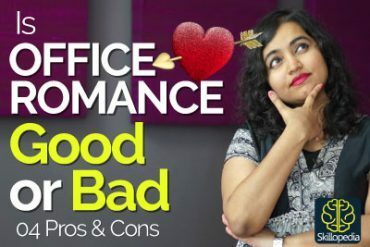 So stay tuned with me Niharika while I show you the secrets to sounding confident. You can perfect the art of doing anything if you practice it well enough. This rule also seems to apply to speech. Sounding confident is related to talking or delivering a speech. It could be as simple as asking your dad for a higher allowance or asking your crush out on a date. Or maybe asking your boss for a raise or raising a toast at your best friend’s wedding. Whatever it may be, you must really practice what you’re going to say beforehand. As part of your practice, you might want to record yourself speak. That way you can time your pauses and decide the pace of your speech. It also helps you check for clarity and volume. When you have practised your speech well enough, you will definitely sound confident at the time of delivering it. Questions are always a part of conversations. However, an overuse of questions makes you look like you’re asking for information or looking for approval. A confident person gives more information and doesn’t need the approval of anyone. So it’s best to maintain an even tone of voice and end statements without making your voice creep upward into a question. That way you will sound confident and not vulnerable. It’s important that our rate of speech is just right. It shouldn’t be too fast and it shouldn’t be too slow either. Speech that sounds too fast makes the speaker seem nervous and more of an amateur. The audience feels like he can’t wait to get done with the talking. That’s hardly the hallmark of someone who is confident. On the other hand, if you speak really slow, you come across as really boring and you might send some people off to sleep. It’s advisable to speak at the rate of 190 words a minute. This rate of speech is equal to sounding like you’re talking to someone over a cup of coffee or talking to a friend over dinner. It definitely makes you more likeable to your audience and that increases your confidence as a result. Your voice does most of the talking at the time of giving a speech. However, the use of your hands is equally important. Yes, body gestures performed by the hands while talking gives quality to the entire conversation that is taking place. It communicates your excitement and knowledge about a topic which makes you sound and look confident. However, you need to use hand gestures appropriately. 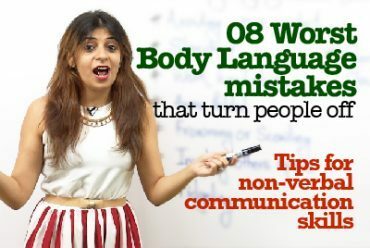 You don’t want to use hand gestures in the wrong way by fiddling with your clothes or hair while talking. If hand gestures are used in the wrong way, you end up distracting those who listen to you and you appear nervous or scared. A lot of people use fillers like Ummmm., Well…, In my opinion.. OR sorry.. Stop using these phrases. The fillers make it sound like you haven’t prepared very well for what you have to say. And that makes you sound a lot less confident. If you’re giving your opinion about women employment you can say, “We need to make sure employment of women increased by 15% over the next year” instead of saying, “Well, in my opinion, I think that women should be employed more next year”. Even if using fillers is just a habit you grew up with, give it up as soon as you can. That way your confidence levels will also go high. Hydrate: I cannot tell you how important water has proved to be. A lot of people don’t know how much good it can do to your vocal cords. Water moisturizes your vocal cords and enhances the sound and quality of your voice. If you’re on your way to giving a speech, do yourself a favour and drink up as well as you can. You won’t run out of breath and you will definitely sound good and a lot more confident. Expressing gratitude creates a positive atmosphere because it shows that everything is on the right track. If everything is moving in a forward direction, people put their confidence in you. So when you start a speech or just talk to your boss, you can begin with, “Thanks for coming”, or “Thank you for taking the time to speak with me”. As you can see, expressing gratitude at the start of the conversation is a great way of conveying confidence. Smile: Now if you thought that smile only increases your face value, think again. Smiling makes even your voice really pleasant to listen to. It makes you sound friendly, approachable and composed. And a confident person is a combination of these three qualities. So the next time you say something, try adding that smile to your speech, and see how confident you sound. You might want to try this out right now as you’re watching me! Why don’t you read something by standing upright with your shoulders arched back? Now try doing this by slouching. You Can tell the difference right away! You will discover that the quality and sound of your voice is great when you maintain an upright posture. On the other hand, a slouching posture makes your voice sound weak and fragile. So if you want to maximise the power of your voice, take a deep breath and speak by sitting or standing straight up. Thank you for watching. I hope you found this video useful and very informative. I’m confident that these tips will make YOU sound confident. I’ll be back very soon.. But before I go, please don’t forget to like the video, subscribe to the channel and click on the bell icon to get regular updates of such amazing videos! I’ll see you soon, take care and keep smiling!